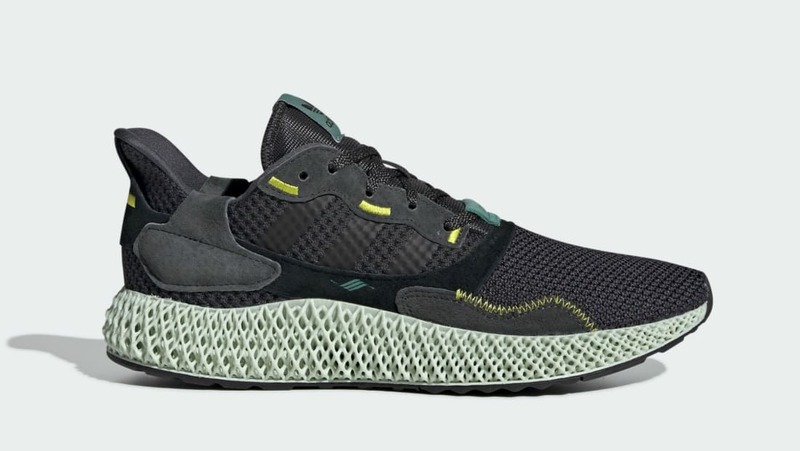 The Adidas ZX 4000 4D will don a bevy of grey hues on the Primeknit upper with grey and black suede overlays, as well as yellow stitching throughout. The upper sits atop a green 4D-printed tooling. Release date is Apr. 6, 2019 at a retail price of $350.